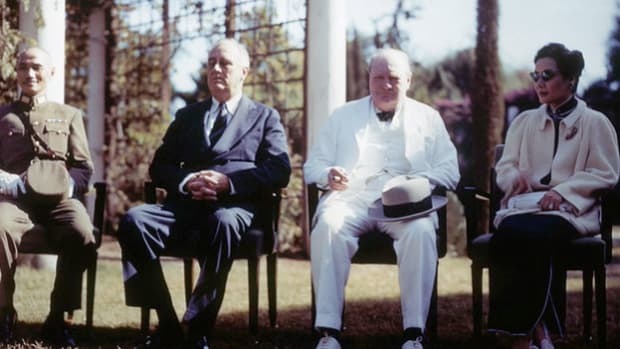 The Yalta Conference was a meeting of British prime minister Winston Churchill, Soviet premier Joseph Stalin, and President Franklin D. Roosevelt early in February 1945 as World War II was winding down. 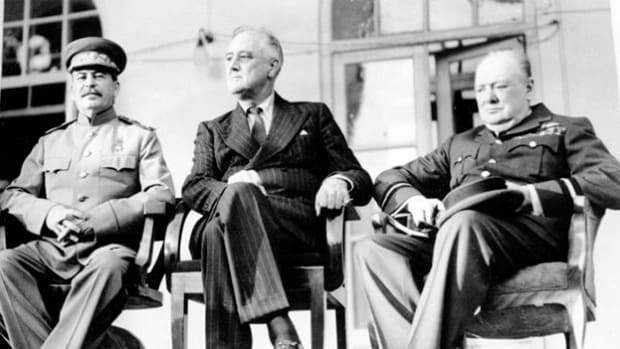 The leaders agreed to require Germany’s unconditional surrender and to set up in the conquered nation four zones of occupation to be run by their three countries and France. 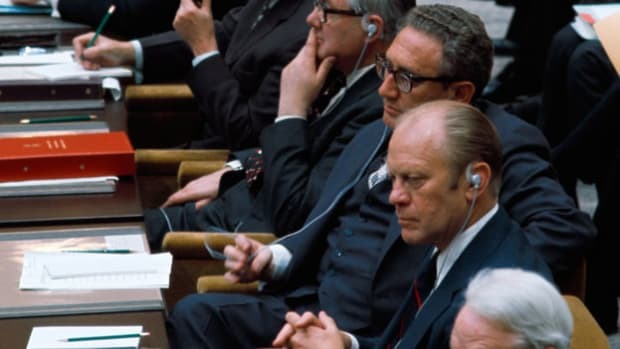 They scheduled another meeting for April in San Francisco to create the United Nations. 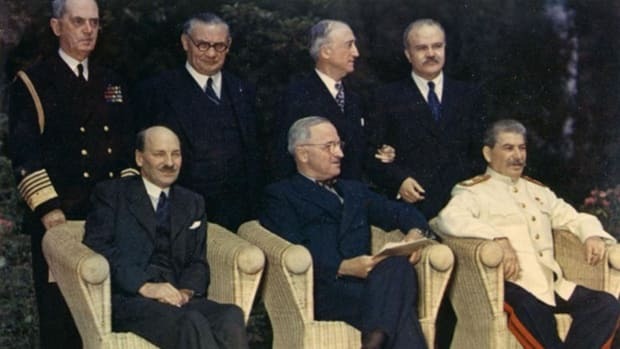 Stalin also agreed to permit free elections in Eastern Europe and to enter the Asian war against Japan. In turn, he was promised the return of lands lost to Japan in the Russo-Japanese War of 1904-1905. At the time, most of these agreements were kept secret. 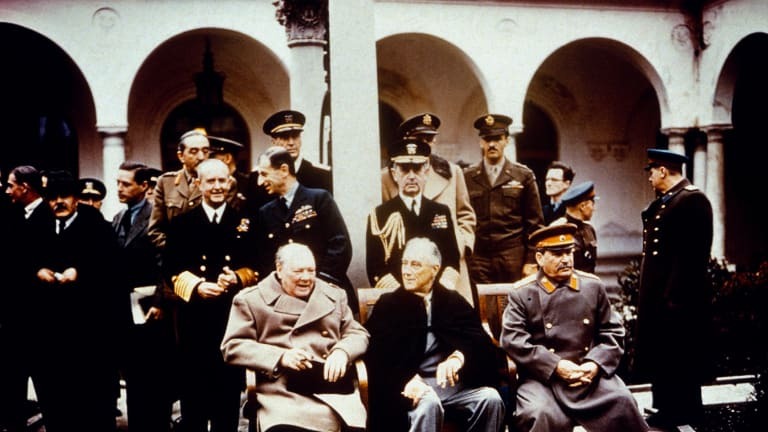 Yalta became controversial after Soviet-American wartime cooperation degenerated into the cold war. Stalin broke his promise of free elections in Eastern Europe and installed governments dominated by the Soviet Union. 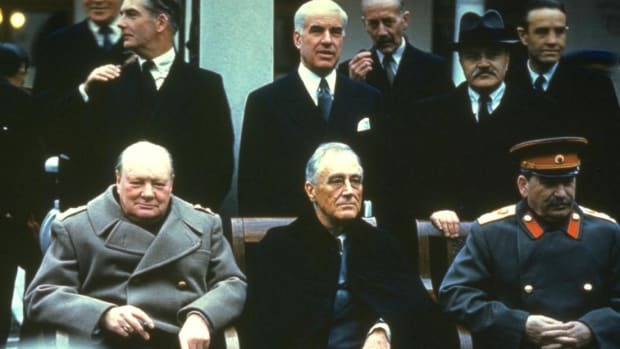 Then American critics charged that Roosevelt, who died two months after the conference, had “sold out” to the Soviets at Yalta.